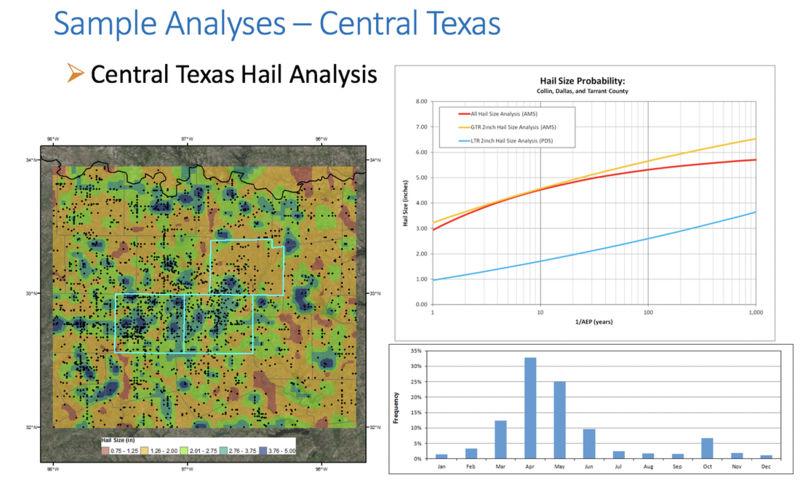 AWA expertise, database, and meteorological analysis methods have been used to more accurately quantify various meteorological parameters used in insurance industry investigations, risk analysis, and underwriting activities. 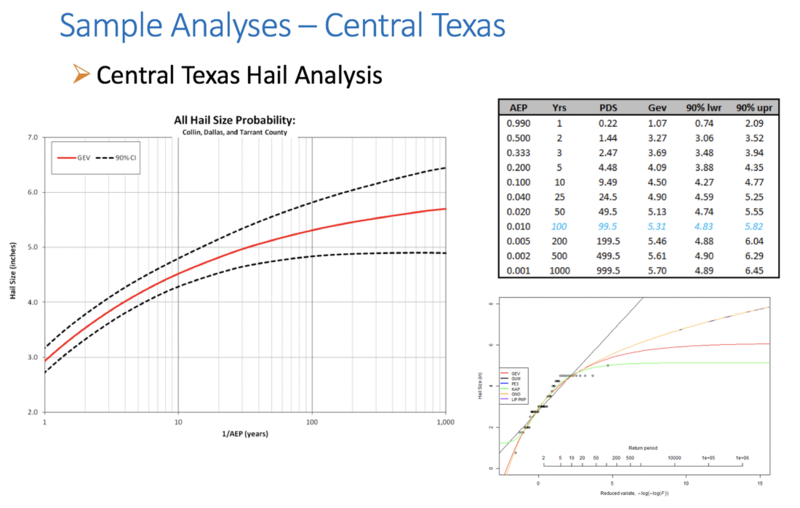 These include location specific rainfall analysis, precipitation frequency development, climatological series development, hail analysis/recurrence interval development, and wind climatological and extremes. 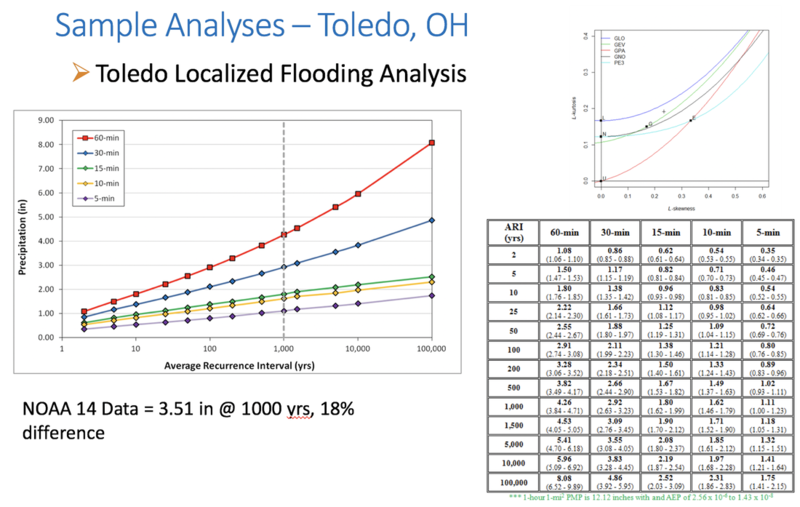 These data sets allow actuarial tables to be determined more efficiently, allow for a better quantification of risk, and provide the data necessary to more accurately price and write policies. 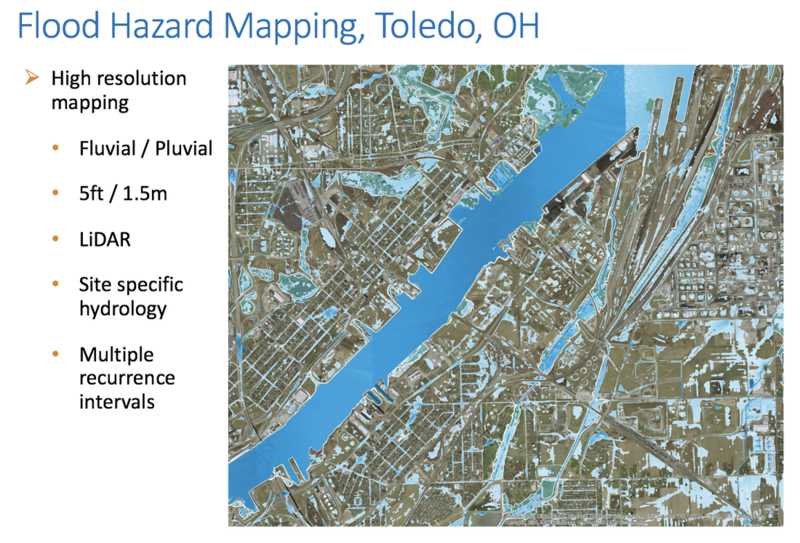 AWA has teamed with Aterra Solutions on several insurance risk assessments and continues to partner with them to combine their expertise in flood modeling and hydrologic analysis with AWA's precipitation and meteorological expertise.